Allpets at Pickerington, Inc. is committed to the health and well-being of our patients and to the support of our clients via exceptional customer service. We excel in compassionate care for our patients as we consider them to be valued family members. 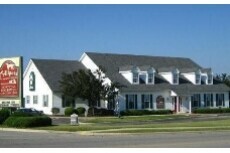 Our veterinarian has years of experience helping the pets in our community at our animal hospital. We provide medical, surgical, and dental care for pets in Pickerington and surrounding neighborhoods such as Canal Winchester, Reynoldsburg, and Columbus. From puppy-hood and kitten-hood to end of life care, our exceptional staff is there for you. In addition to health care, Allpets features a delightful grooming spa (for both dogs and cats) and comfortable "home away from home" lodging with attentive staff that will treat your pet with kindness and love. We treasure the trust placed in us and invite you to stop by for a tour. Allpets, Inc. is an LLC. Monday 8 AM to 6 PM. Tuesday 8 AM to 6 PM. Wednesday 8 AM to 5 PM. Thursday 8 AM to 6 PM. Friday 8 AM to 5 PM. Saturday 9 AM to noon. The staff at our hospital is our best asset. Every member of the staff loves animals and cares for their well-being deeply. We put your pet's best interest first every time. Dr. Jennifer Schoenfeld grew up close to Pickerington and started Allpets upon graduating from The Ohio State University in 1980. She loves working with dogs and cats and has a special interest in dermatology and allergies. 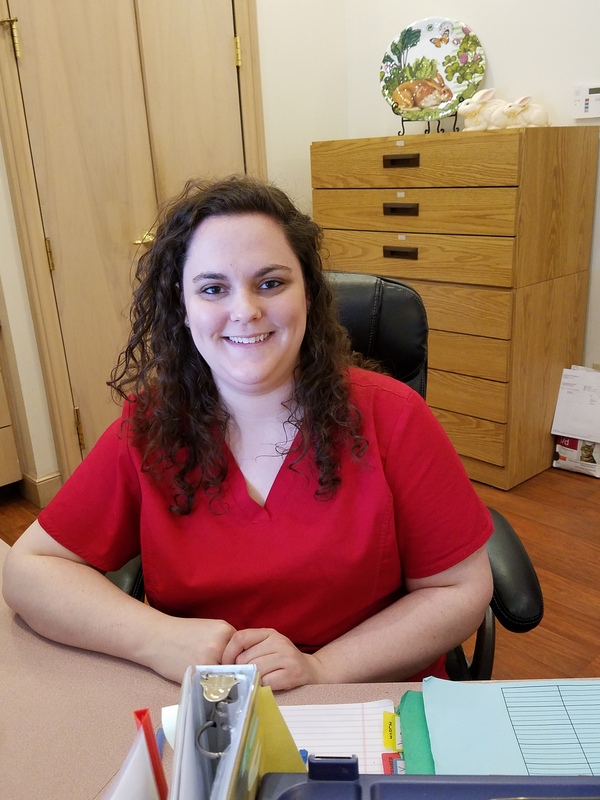 She wanted to be a veterinarian since age eleven, and began by caring for the pets on the family farm located in Brice, Ohio. Dr. Schoenfeld is a member of The Columbus Academy of Veterinary Medicine, The Ohio Veterinary Medical Association, and The American Veterinary Medical Association. She is married and has two terrific sons and a wonderful daughter-in-law. She shares her home with Standard Poodles, Dudley and Pepi, and two young domestic shorthair cats named Ripperoo and Quinn. These four pets make for quite a circus, as they enjoy teasing each other. In her spare time, she is an active member of the Reynoldsburg-Pickerington Rotary Club, Etna United Methodist Church, plays tennis, bikes, snow skis, and works in her flower gardens. Sue, our head receptionist, multi-tasks like no other woman on the planet. Her hobbies include keeping the cash registers busy at Easton and Polaris while shopping for her four young grandchildren and “eating junk food.” She also bakes birthday cakes for every member of our staff! Cristi loves animals and has an adorable Pomeranian named Kodiak and 4 fabulous kitties: Kaylee, Kim, Kali, and Kala. (See a pattern here?) She likes camping in the great outdoors and her dream is to live on a lake. She has been married for 43 years and has 2 adult children. Catie helps as our weekend receptionist. She is an animal lover and is the "mom" of Pippin, a Golden Retriever/Rottweiler mix. Pippin's littermate Annie and a cockatiel also share their home with her. Catie has a degree in literature from Ohio Northern and a Master's in Fine Arts from Chatham, PA. She is a creative writer and is a fan of vegetarian pizzas. Sheila is a licensed veterinary technician who earned her degree from Columbus State Community College. In addition to possessing excellent medical skills, she is very compassionate with our patients. Sheila is married with two children. She has an adorable Schnauzer named Emma. Sheila and her daughter share a love of horses, too. Derek is a student at The Ohio State University studying zoology with the intention of becoming a veterinarian. He is a graduate of Pickerington North, so he cheers for the Panthers. He shares his home with two Cavalier King Charles Spaniels named Alvin and Theodore, plus two cats named Snoodle and Orion. He plays and coaches ice hockey and his favorite team is the Calgary Flames. Jenny was our vet tech extern and we liked her so well that we hired her. She graduated from the Bradford School in late 2015 and passed her boards with flying colors. She loves pets: has 3 cats and shares a sweet dog named Kozmo with her mom. She resides in Pickerington and prefers burgers and wings over fine dining. She also enjoys fashion and her favorite designer is Michael Kors. 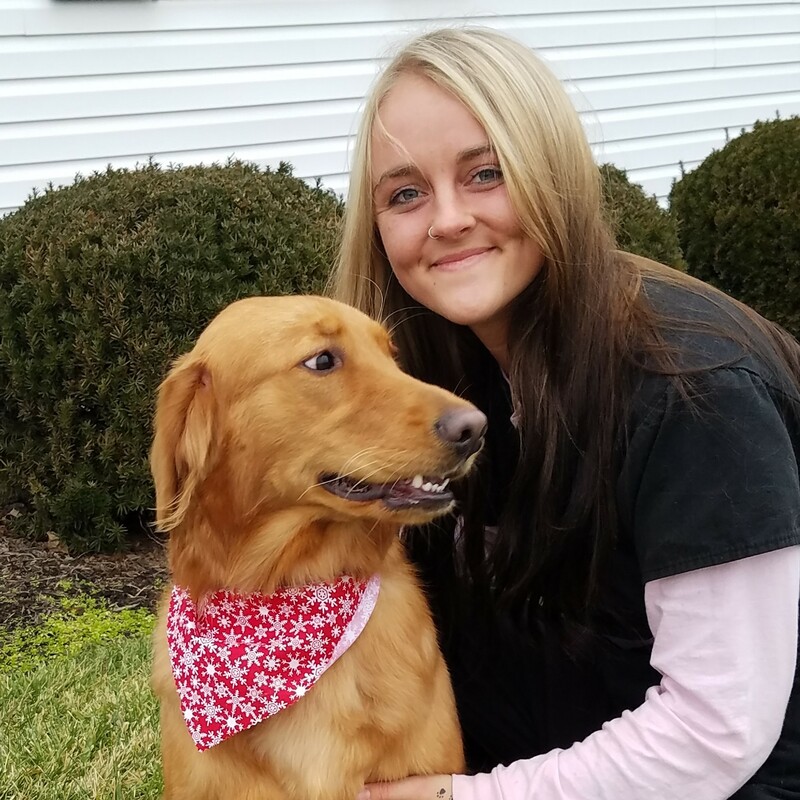 Brittany is a graduate of Pickerington Central High School and loves working with pets and people. 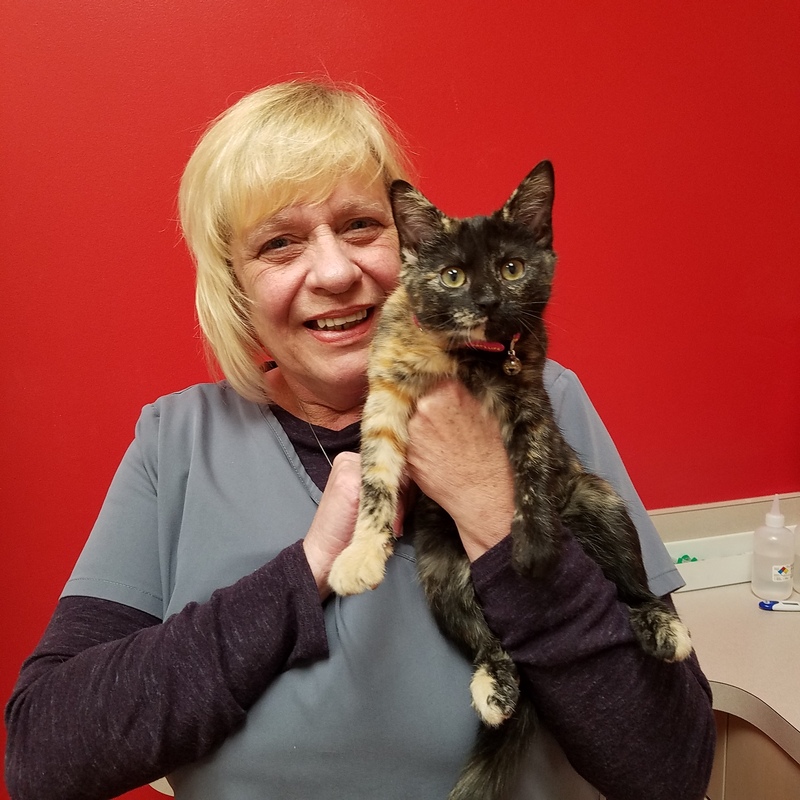 She is quickly developing an interest in the field of veterinary medicine by helping with patient exams, labwork, surgery preps, medication refills, and more. She shares her home with two dogs: Belle, a Dachshund, and Dixie, a Coonhound mix. She expresses her creativity by decorating cakes and painting with acrylics and watercolors. Brian worked 30 + years at The Ohio State University and is a huge Buckeye fan. 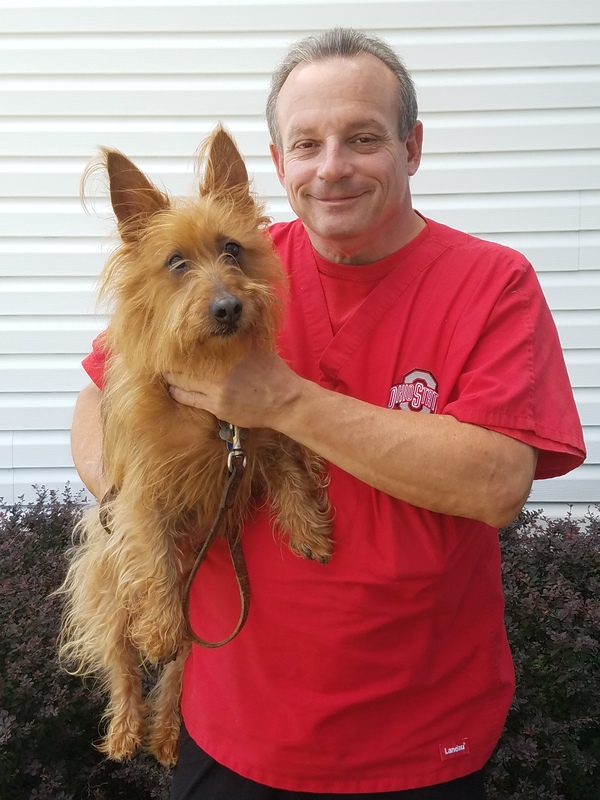 He and his wife have lived in Pickerington for many years, and currently share their home with 3 Australian Terriers: Sammy (pictured), Katie and Ruby. Brian loves to play golf and is a Big Brother in Fairfield County. Abby is a senior at Madison Christian School with the goal of becoming a veterinary nurse (formerly know as vet tech.) That means a minimum of two years of education following high school graduation at an accredited school such as Columbus State or Bradford. She enjoys spending time with friends, painting abstracts done in watercolors, romantic comedies, and Fazoli's Chicken Alfredo. Kaitlyn is a graduate of Pickerington North High School. She is quite the animal lover: has 5 cats, 2 dogs (Chance and Kash), and a rabbit named Kion. For fun, she likes to frequent dog parks and play video games. Just recently, the caramel pie at O'Charley's has become a new favorite food. Tessa has been grooming dogs for 3 years. Poodles and Schnauzers are her favorite breeds to perfect. She has her own standard poodle named Zorro (he is white with a black mask) and a 3 year old lab named Beesly. The two dogs love to rough house! Tessa enjoys movies (especially horror films), concerts, Red Lobster and is a Steelers fan. Roger (Federer) showed up in 2006 as a young kitten. Roger likes everybody, especially other cats. He greets each one as they arrive by leaping on top of their carriers and looking inside the door, upside down. Oddly enough, most cats don't seem to mind this strange welcome. 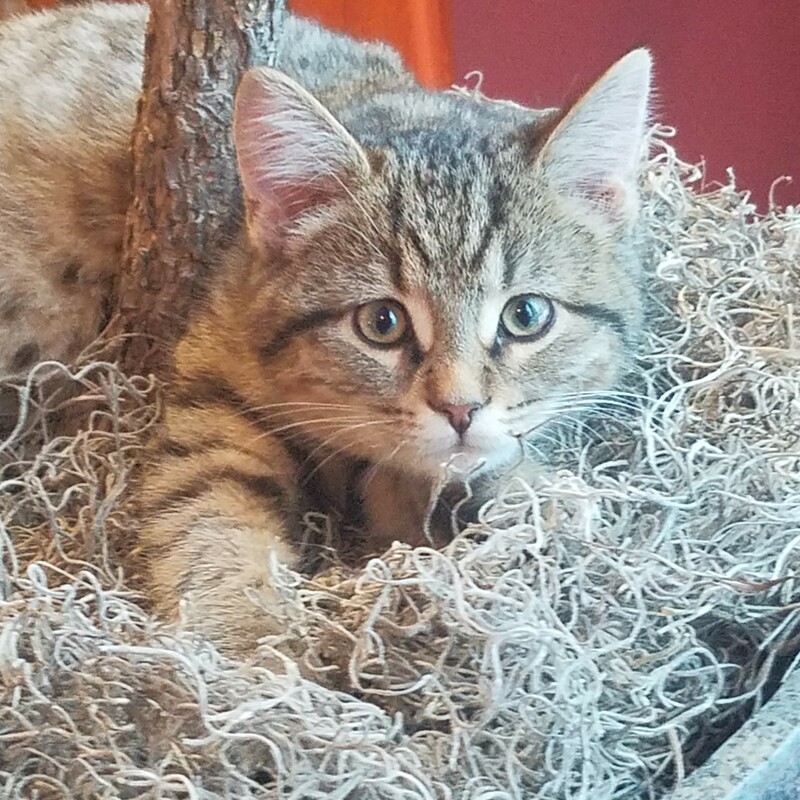 Finnegan arrived at Allpets on September 21, 2018 when he was only 5 weeks old. Our staff immediately fell in love with this tiny guy and Roger tolerated him well enough to let him stay forever. Now Finn is in training to be our next official greeter, a job he adores! Our boarders have 4 potty breaks a day.